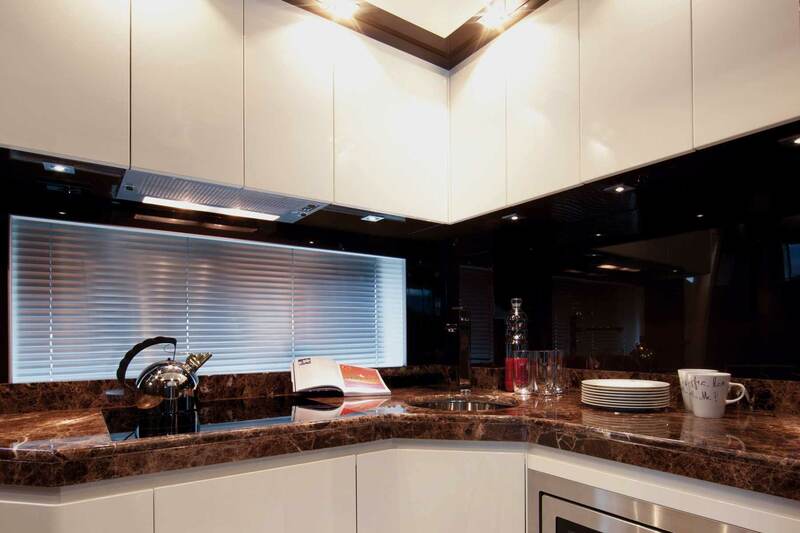 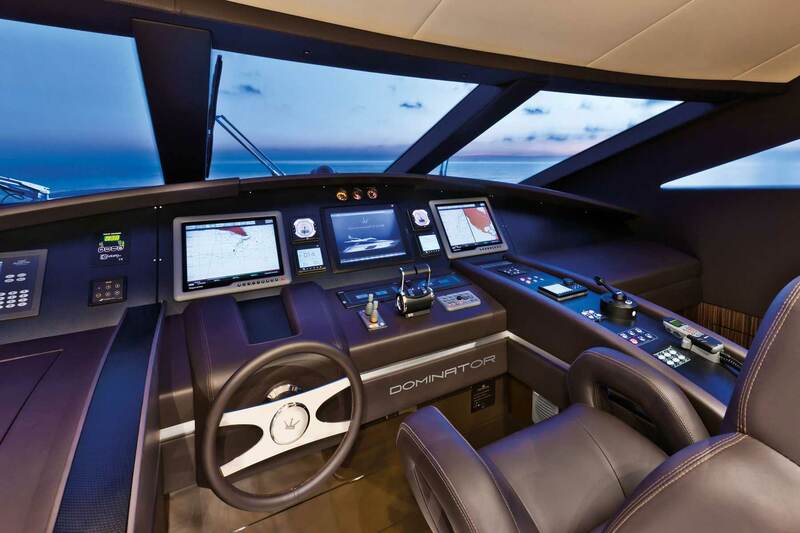 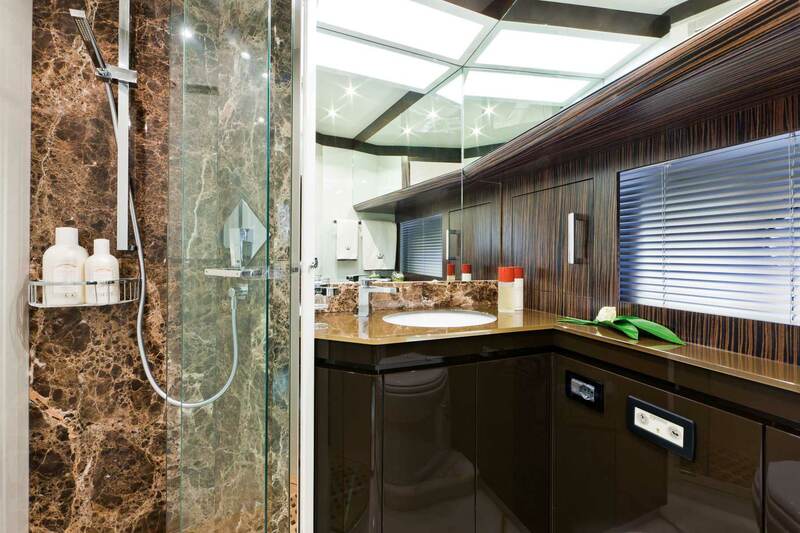 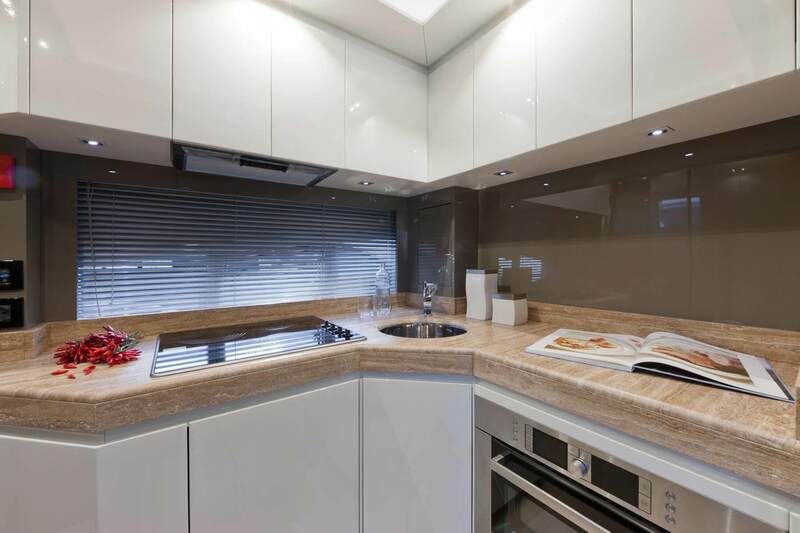 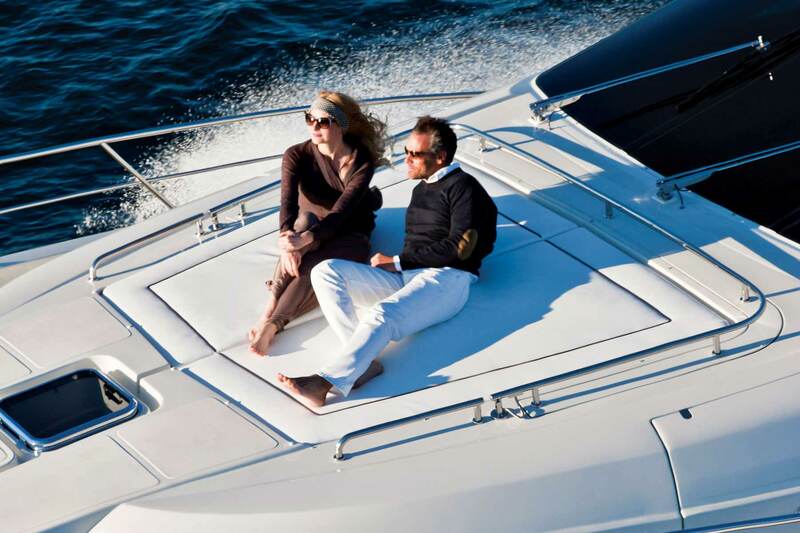 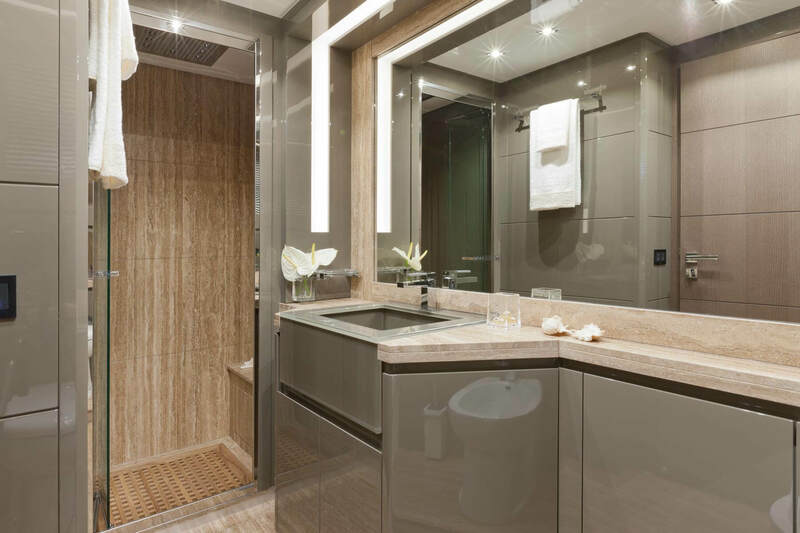 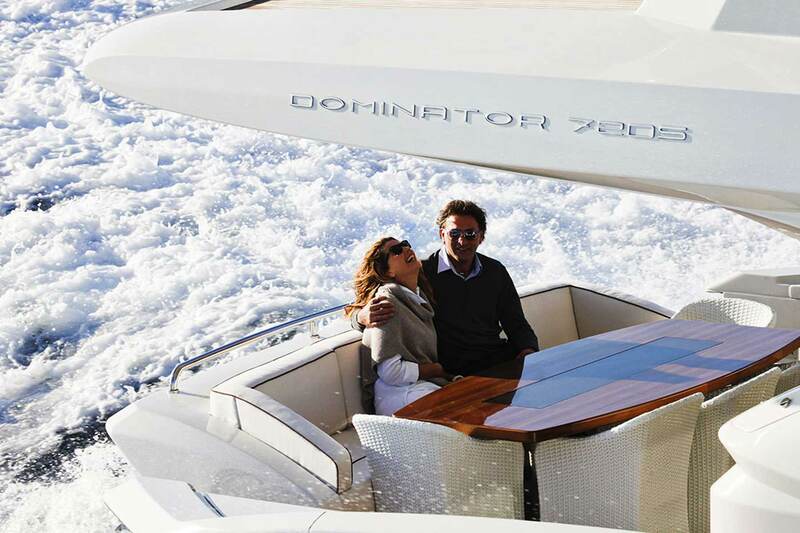 With its sober, clean-cut contours and sleek, streamlined style concept, the Dominator 720 is the quintessence of all the distinctive qualities in the Dominator range. 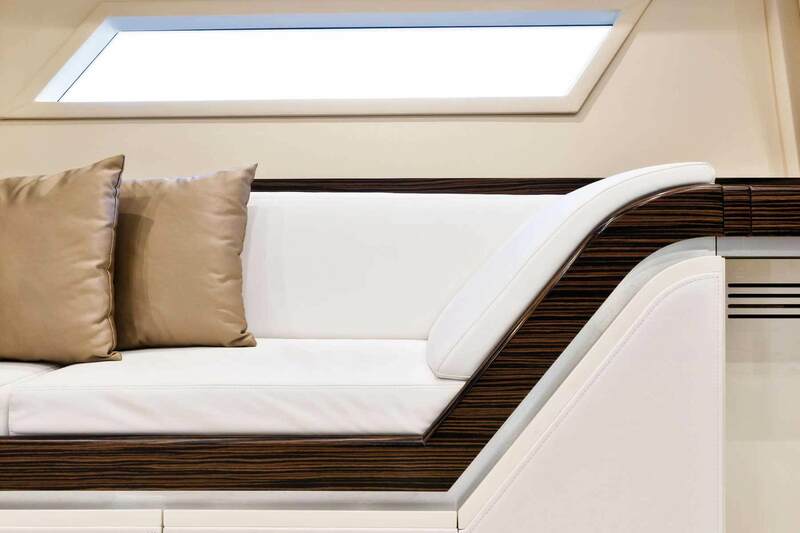 Linear and dynamic, this craft is the perfect balance between the elegance of longer vessels and the aggressive spirit of sports-style yachts. 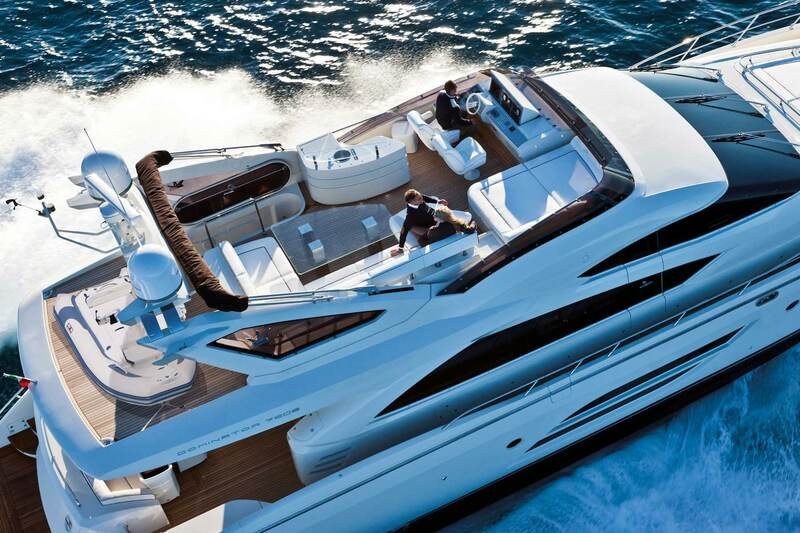 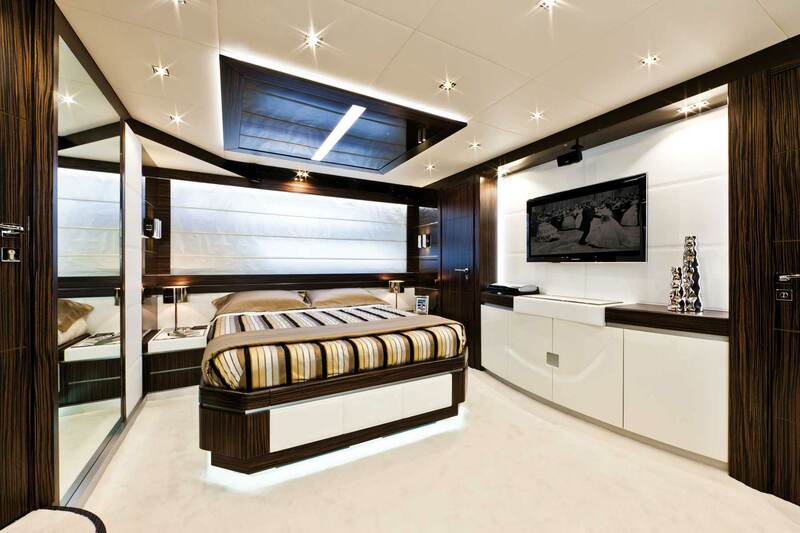 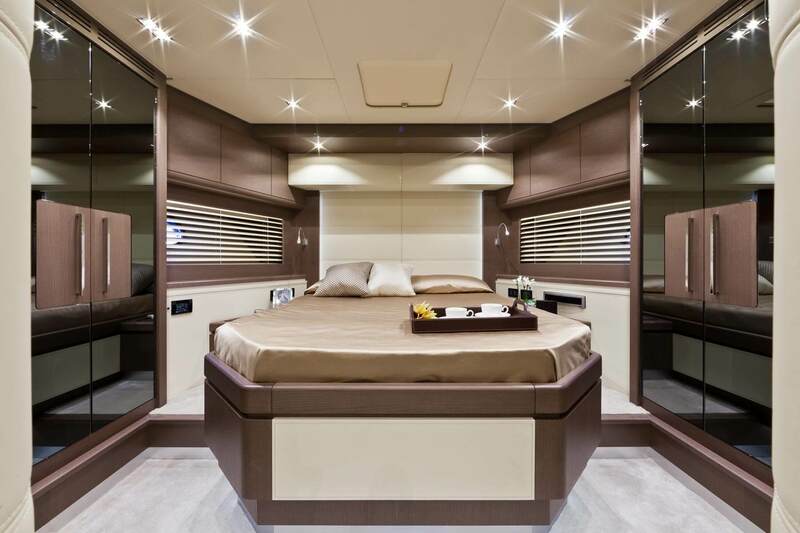 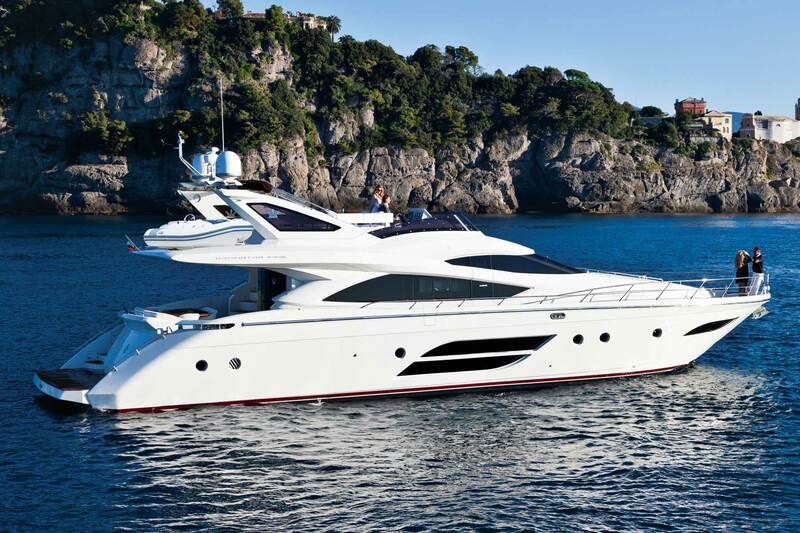 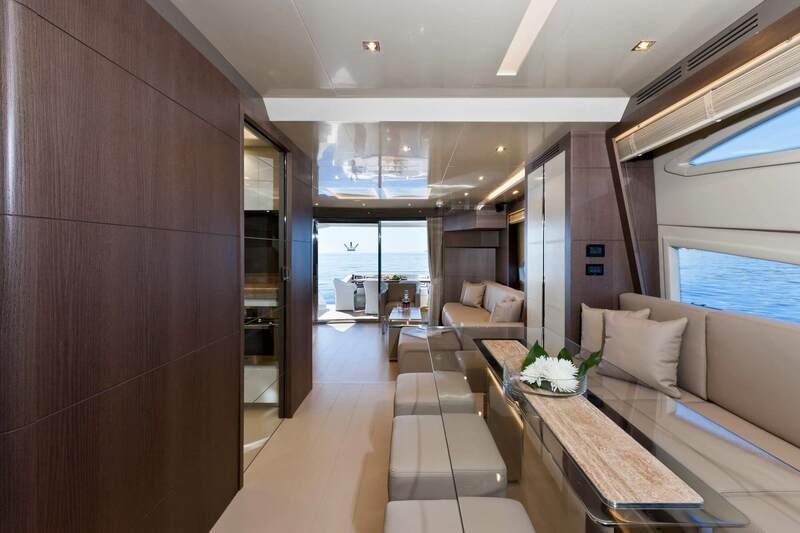 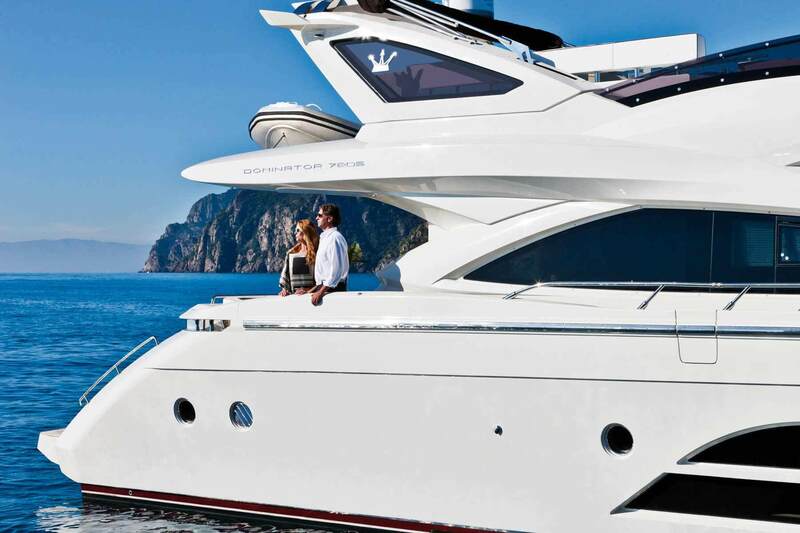 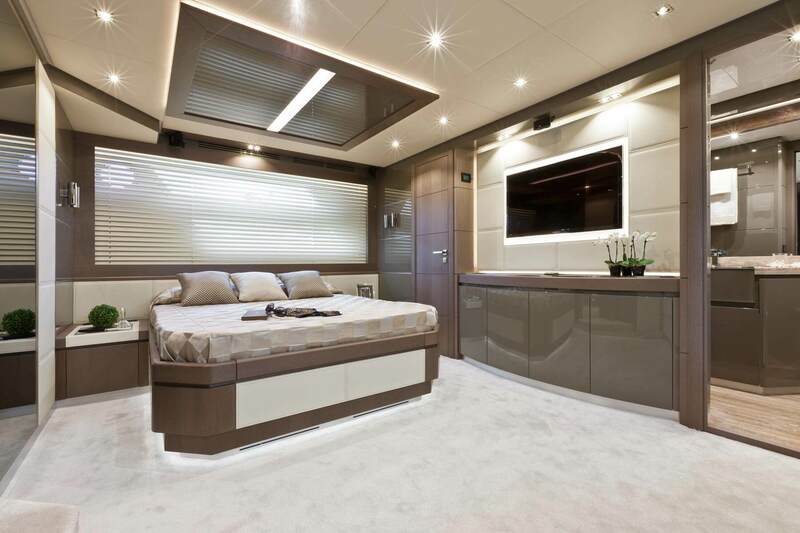 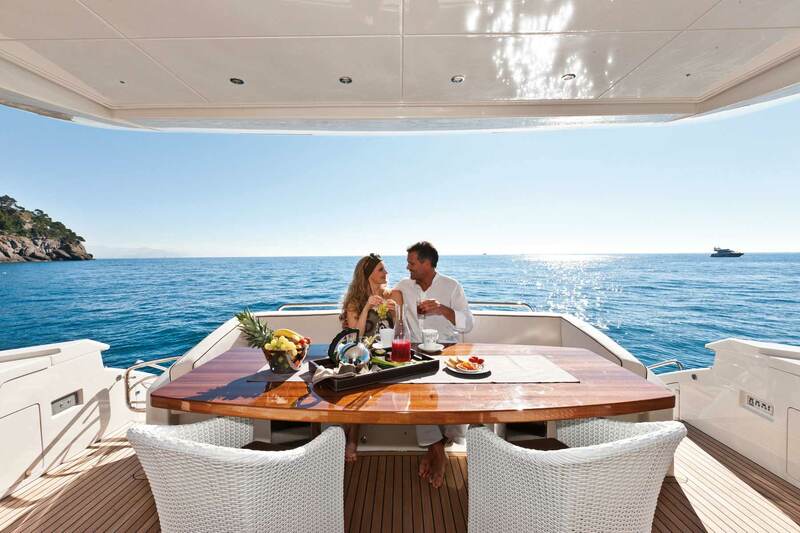 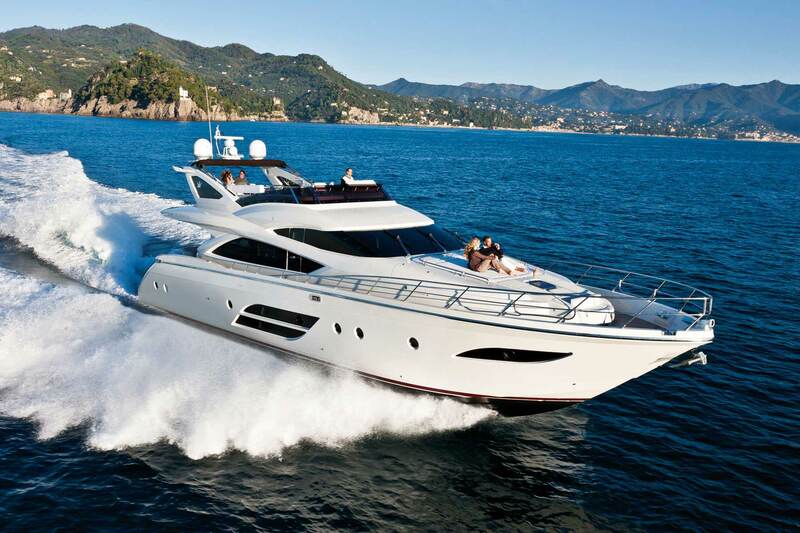 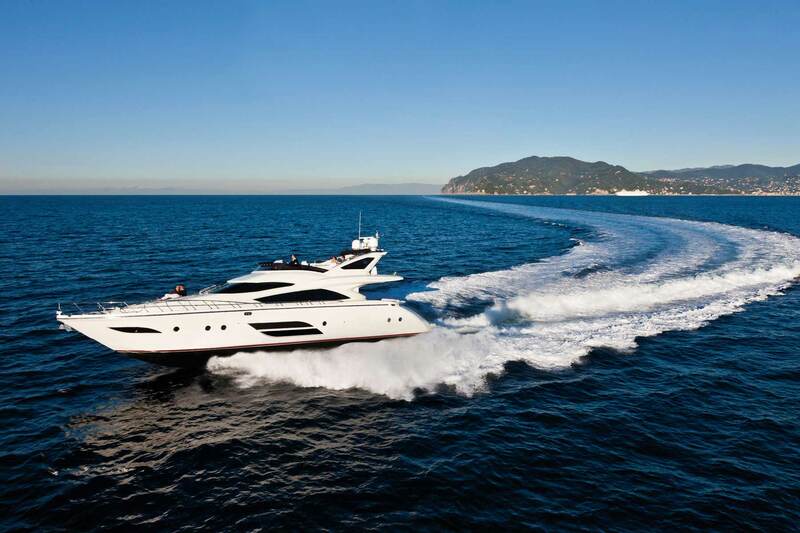 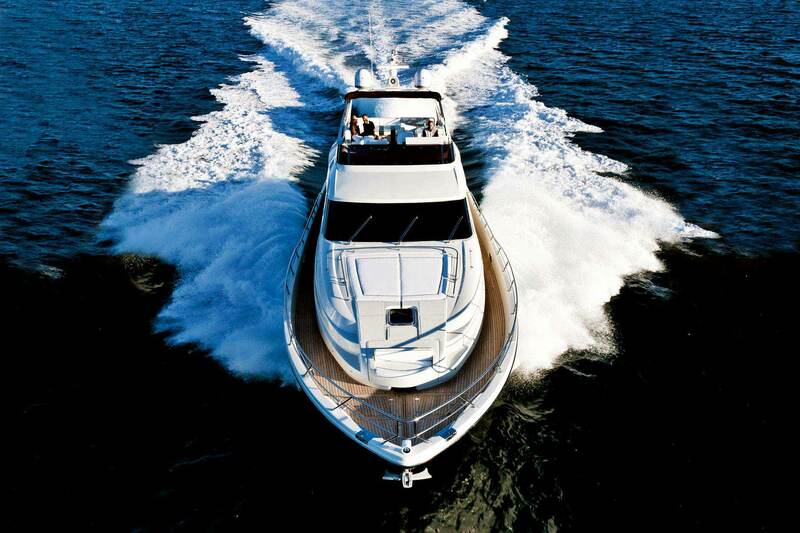 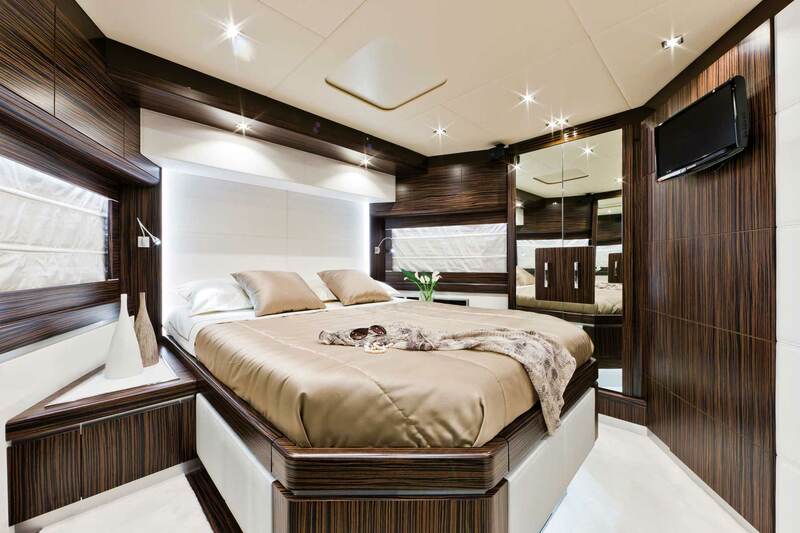 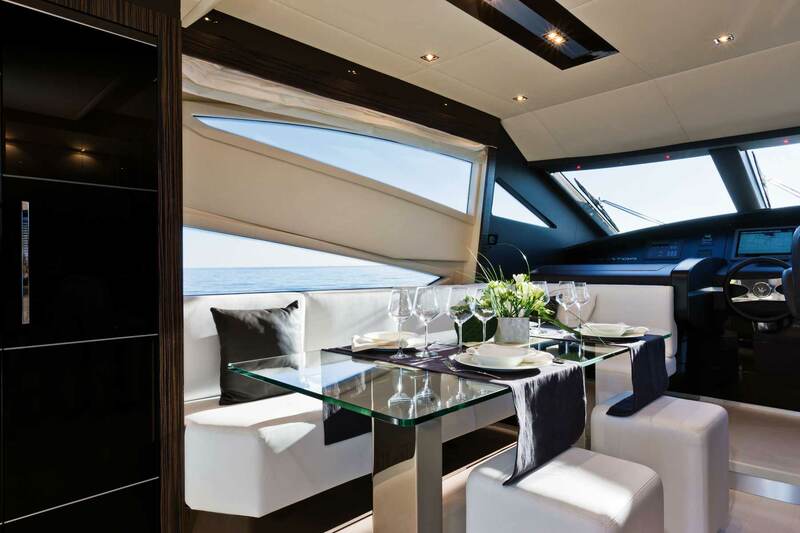 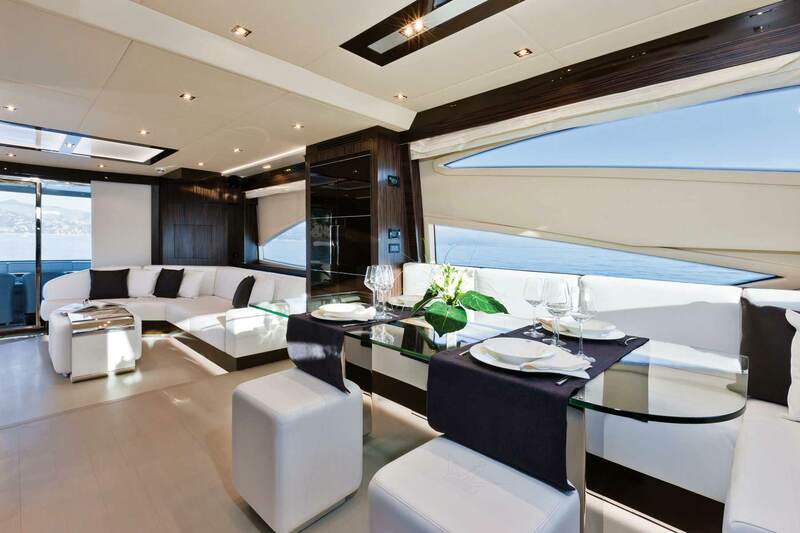 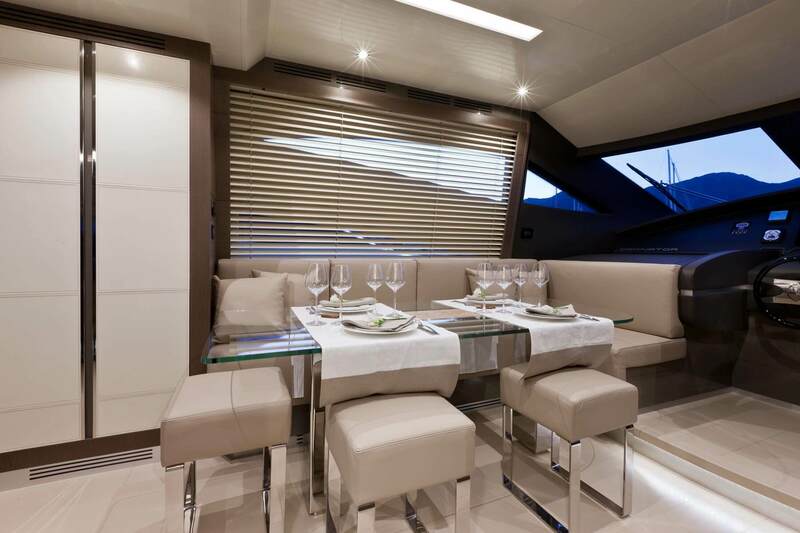 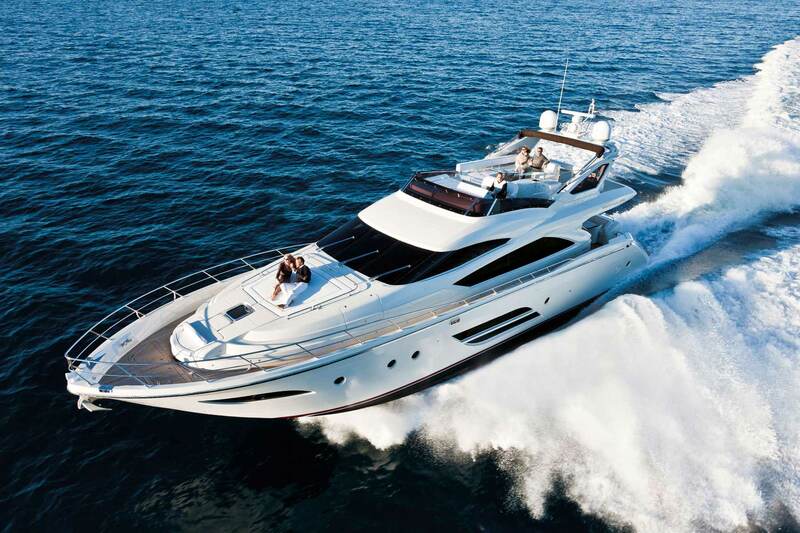 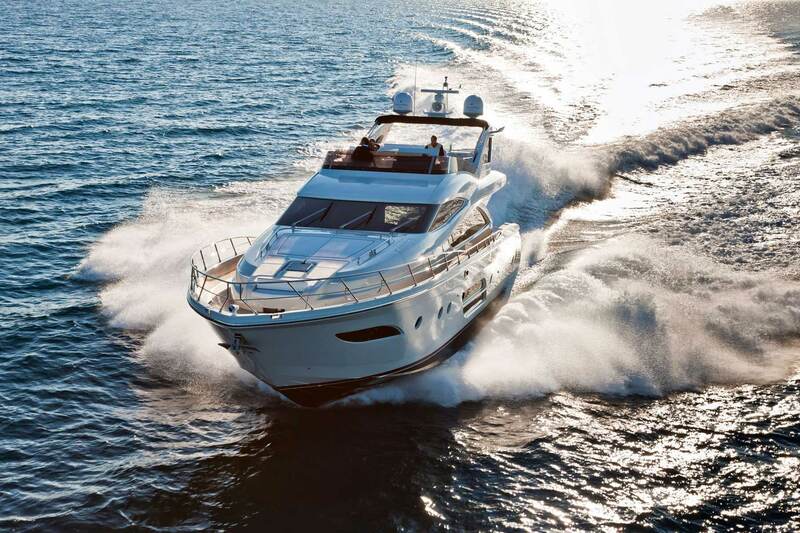 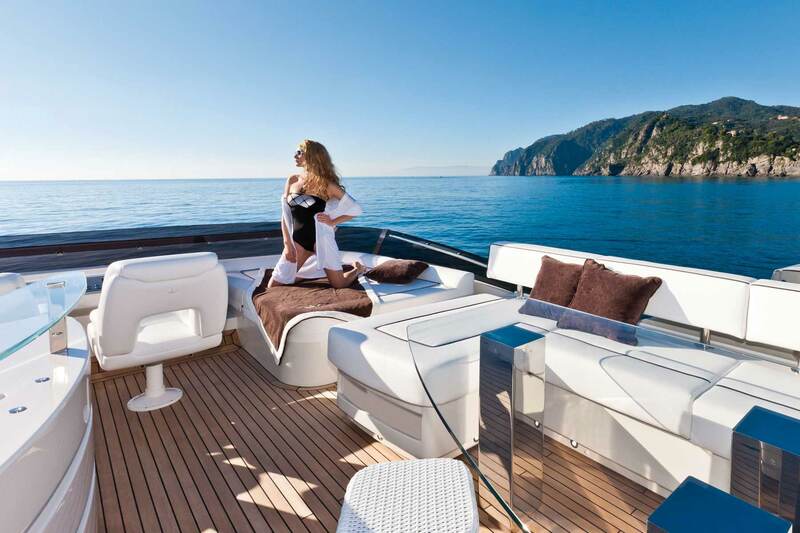 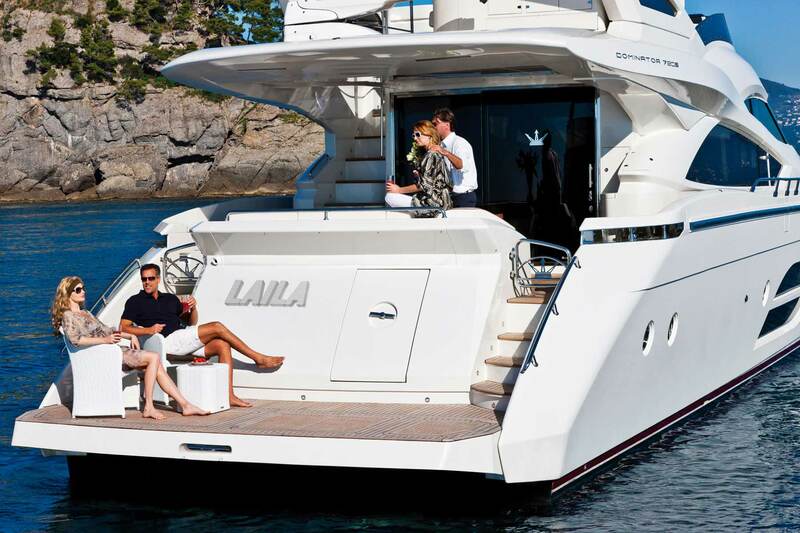 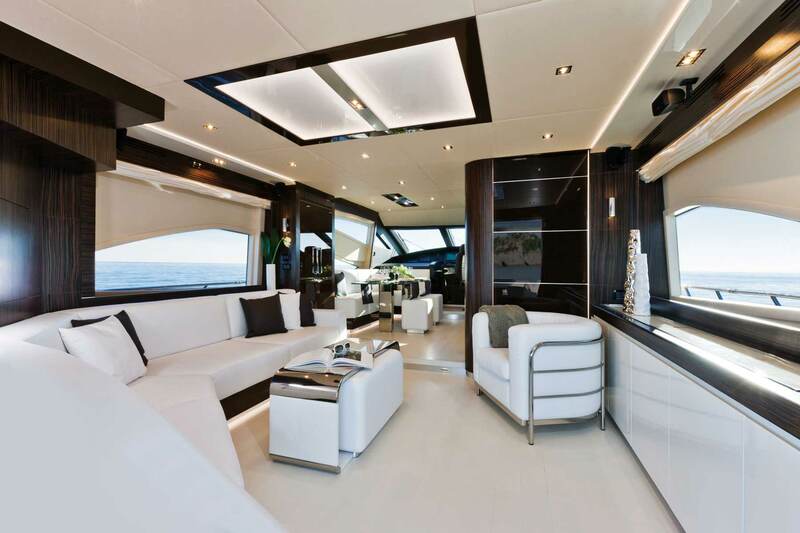 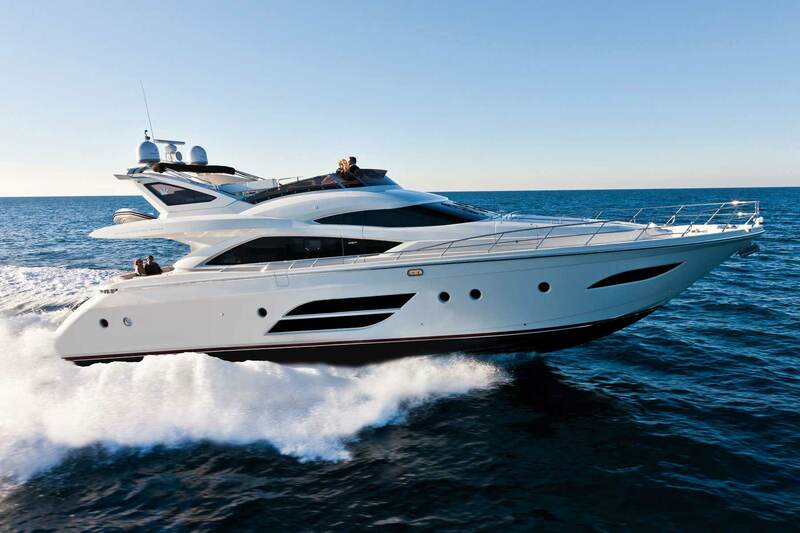 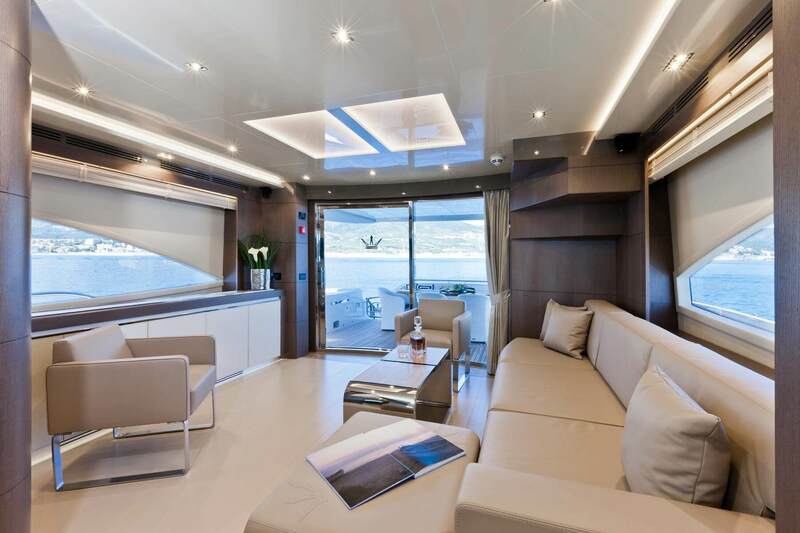 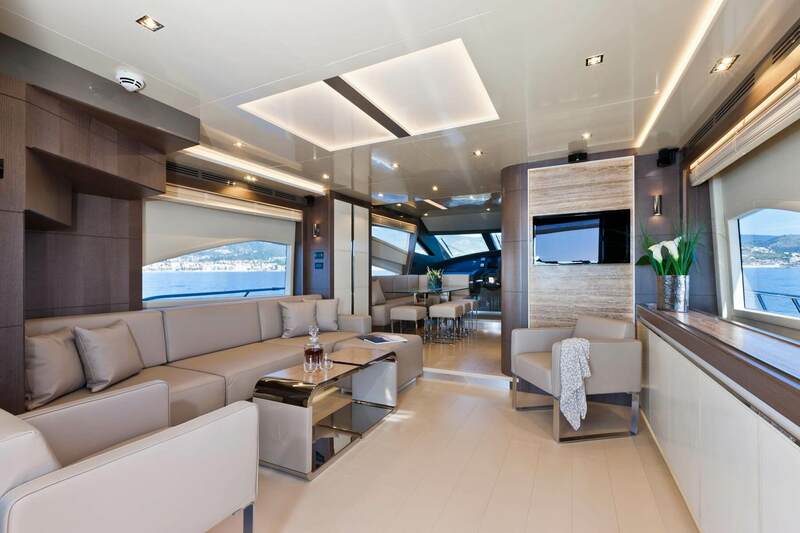 Another special quality of the exteriors of this Dominator is the extremely comfortable fly, featuring a large living area furnished with a table which can seat eight, a spacious bar island and comfortably sized sun deck.